Brand Identity, Packaging Design, Packing Application, Photography, Bespoke Illustration. 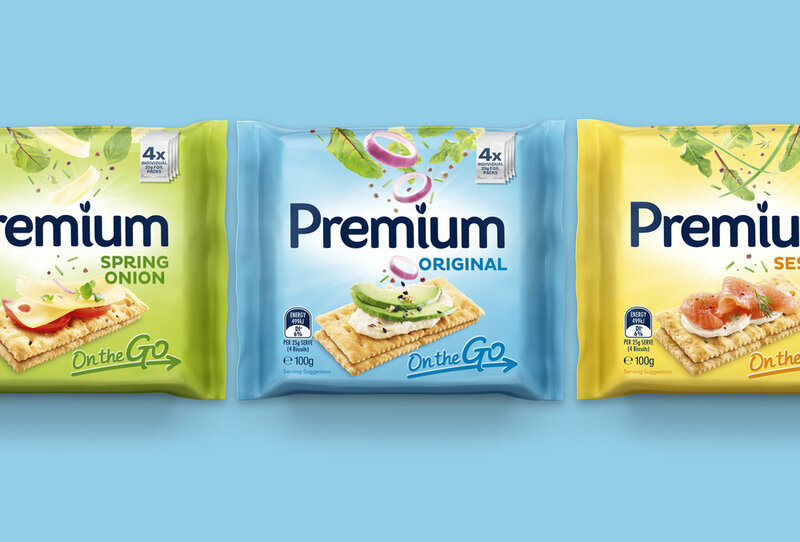 The Premium brand had been in steady decline, as had the whole Crispbread Category. Despite being loved by some loyal consumers, the brands “wholesome” position had been displaced by “healthier” offers. Premium needed to play to its strengths and tap into the modern consumers desire for convenience and versatility. 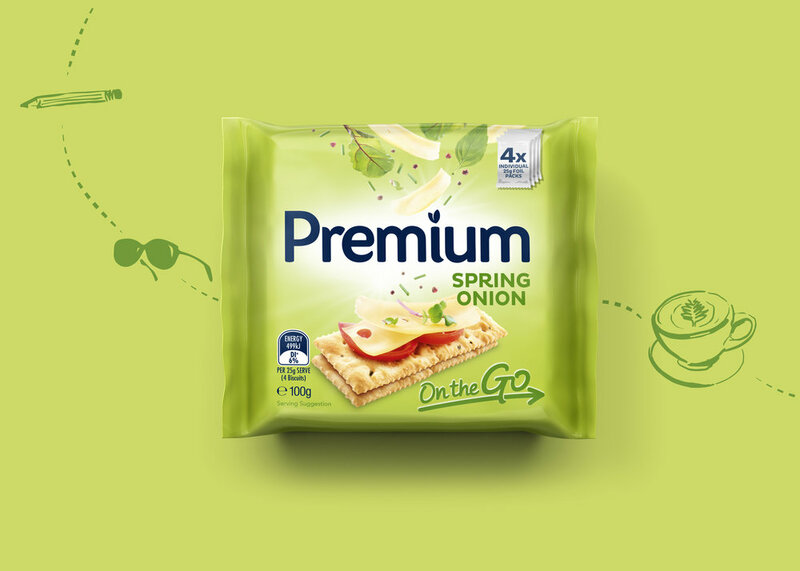 Along with repositioning the brand, Premium underwent a recipe and format change. We aimed to break the category norms, bringing movement and aspirational lifestyle cues to the pack. We have simplified and modernized the brandmark, and used light & fresh ingredients to create simplicity and balance.